Island Royale 904 – Book Now! Spectacular GULF Views from this 9th Floor Condo at Island Royale. 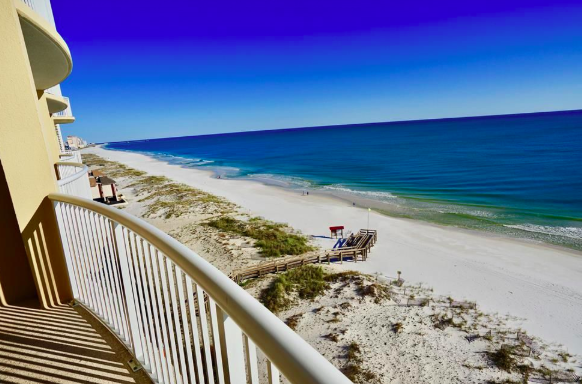 #904 is the perfect beach getaway located in the heart of Gulf Shores, AL. Just minutes from excellent restaurants, entertainment venues, and shopping! Rachel Kelly (251) 273-2776 is the team’s marketing specialist and works closely with both Aaron and Mike. She manages content on CondoInvestment.com and helps users with questions regarding condo listings and rentals. Rachel is a Baldwin County native with local knowledge of real estate and can answer general questions regarding condos sales, showing requests, and rental inquiries. She’s familiar with everything going on and does a little bit of everything, from helping clients to web design, blogging, and search engine marketing. Email Rachel.